To survive in a family one needs to often make compromises and adjustments. Today, for sake of my kids laughter and wife Trisha’s timepass, I sacrificed four hours of my life in Golmaal 4, waiting every minute for the ABCD (Aatma, Bhoot, Chudail, Daayan) level script to either uplift to a plot or end my ordeal. The Golmaal franchise has degraded with every sequel and the current installment survives only on handful of funny sequences – primarily featuring the best comedian of our generation, Johnny Lever, talented Shreyas Talpade, beautiful shots of Ooty and some creative one liners. ‘Jamunadas ka nand laala’ sequences and the spirit chasing chants being highlights in the creative one liners department. 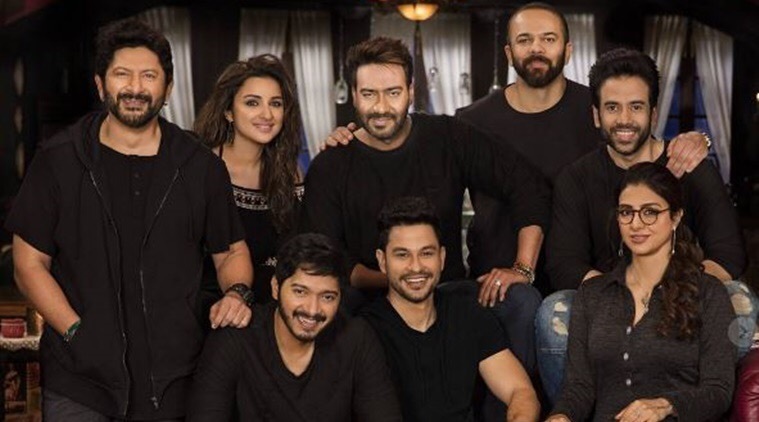 During the climax you spot a dozen plus actors hamming – most of them out of work, their identities surviving on Golmaal sequels. Sanjay Mishra, easily busiest of the lot, is wasted here aping Shatrughan Sinha. The others wasting the viewers time either remixing 1990s songs or aping 1990s stars Nana Patekar and Sanjay Dutt. Horror comedy is rarity in Bollywood, only Go Goa Gone being the other movie made in this genre. 2017 has seen some delicious comedies in Shubh Mangal Saavdhan and Bareilly ki Barfi. ﻿Golmaal 4 isn’t a patch on either. No Rohit Shetty trademark action to be seen either. I was left with peeping at my laughing kids, crawling watch time and missing my friends Ananya and Anshu Gupta with whom we were to tour Coorg / Ooty a month ago; but couldn’t make to the heavenly lush green valleys. 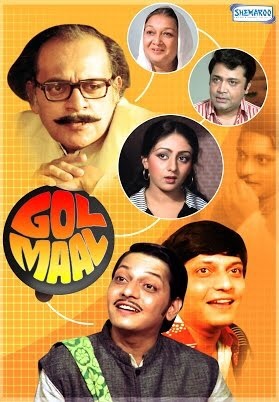 Amol Palekar and the late Utpal Dutt’s classic didn’t deserve this defamation. The movie at best will only provide comic relief to audiences who are deprived of quality humour. Else there is nothing to admire as the franchise’s quality looks as dark and cracked as Devgan’s lower lip. Only Johnny Lever’s credibility stays intact. Am was and is a big fan of DD and Govinda movies. That’s only pair I direly miss. Govindas top 7-8 movies I would have seen them all 7-8 times by now. Snooty people who mocked his loud dressing were wearing red pants and yellow shirts to discs and pubs after turn of the century. Govinda and DD were natural and tbeir movies were on your face no candy floss no designer dresses.